Twentyone extra virgin olive oils of inimitable character. Discover the world of Laudemio, the brand which is world ambassador of the great oil producing art of Tuscany. Today the Laudemio trademark is the ambassador on the tables of connoisseurs all over the world of the great oil producing art of Tuscany. Only the best extra virgin olive oil from the best producers. 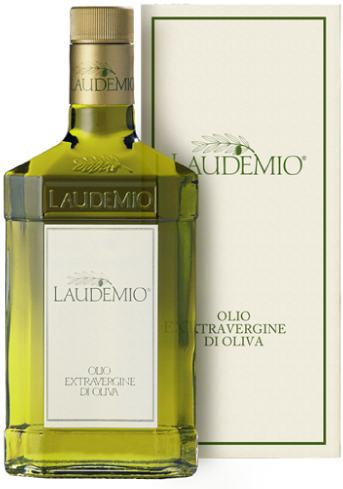 Laudemio exalts all the excellent virtues of the fruit of the olive tree. A food and a medicament rich in a particular nutritional combination of fatty acids and a series of anti-oxidant micro-elements unobtainable elsewhere. The first edition of Premio Laudemio, occurred in 2017, is born to promote the extra virgin olive oil Laudemio in the kitchen of important chefs who work in Italy and can be described as the best ambassadors of the agri-food culture quality. About 2 days ago from Laudemio's Twitter via Hootsuite Inc.
About 3 days ago from Laudemio's Twitter via Hootsuite Inc.
About 4 days ago from Laudemio's Twitter via Hootsuite Inc.
About 6 days ago from Laudemio's Twitter via Hootsuite Inc.
Last week from Laudemio's Twitter via Hootsuite Inc.